Tonight, ABC aired the classic animated Peanuts special A Charlie Brown Thanksgiving, and while many fans tuned in for the warmth of nostalgia to kick off their holiday season, many came away with a less than fuzzy feeling when it came to how one specific character was treated. 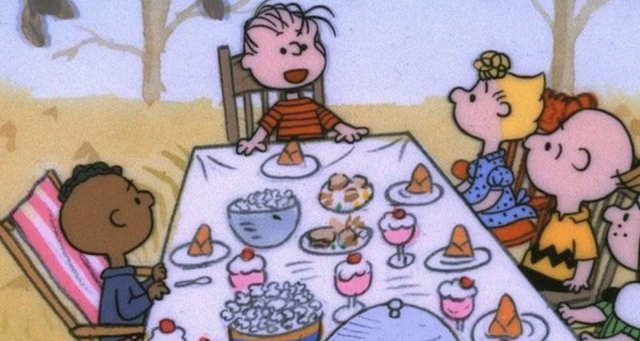 The special centers around a somewhat impromptu holiday meal that happens when Peppermint Patty invites herself and several others over to Charlie Brown and Sally's house for Thanksgiving despite the fact that they're preparing to go to their grandmother's for the feast. After a little help from Linus, who convinces Charlie they can have two Thanksgivings, as well as Woodstock and Snoopy who do the cooking, a friends' Thanksgiving is on.